Particle Wave Technologies (PWTEC) is a company propelled forward by their commitment to providing customer solutions through innovative and aesthetically pleasing application of technology. 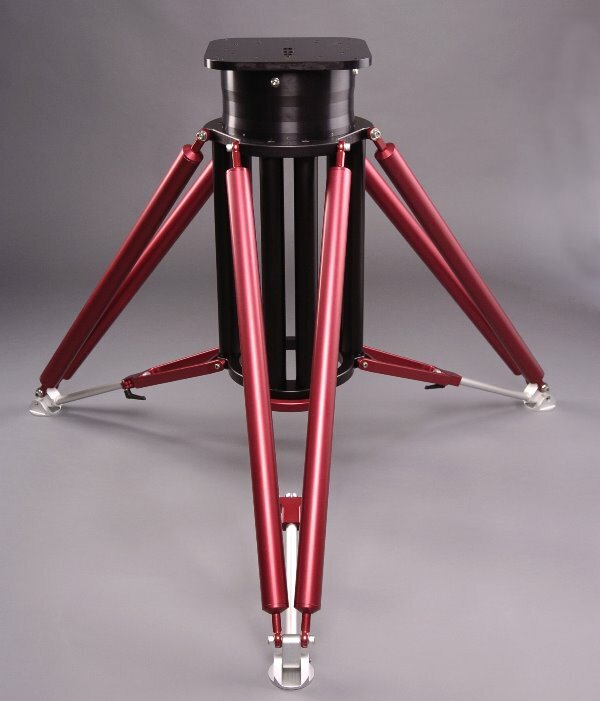 The focus of the company has been literally to support astronomical telescope mounts with rigid, yet lightweight and aesthetically pleasing products. Since these are not mass produced items then there is plenty of leeway to incorporate changes of color, materials (alloys and or composites), and features that are tailored in the USA for the individual customer. Being a limited production commodity however means these products appeal to a most demanding clientele, but one that is patient to wait and get it right - to their satisfaction. 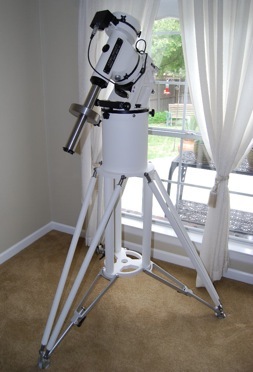 Right: A Pinnacle Tripod supporting the Astro-Physics state of the art 900 GTO German Equatorial Mount (35,175 bytes). Click on image to see enlarged view (189,211 bytes). The founder of Particle Wave Technologies was known to Company Seven as a customer, having acquired one of our fine telescopes. 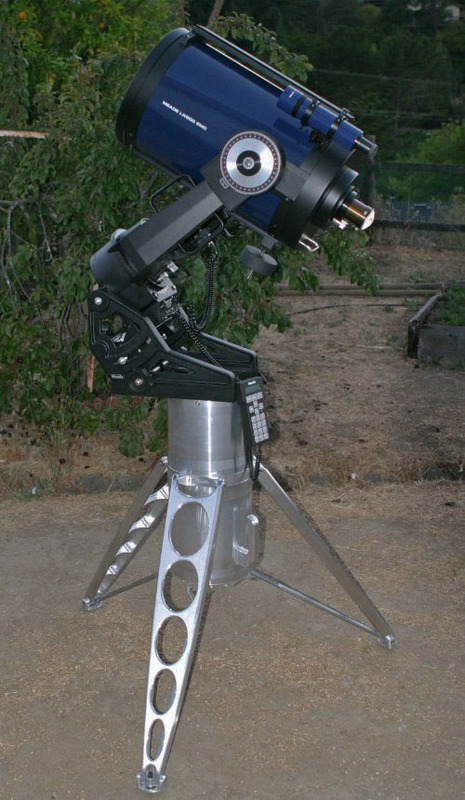 He was then an enthusiast who envisioned improvements in other components of his telescope system that could compliment his superb Astro-Physics telescope. His company first come to our notice as a supplier of several innovative accessories including: desiccant holding covers, field tripods. These were bought by companies for resale including Astro-Physics - an important endorsement. Particle Wave Technologies again came to our mind when Company Seven was looking for solutions to support some of our larger industrial and government products. 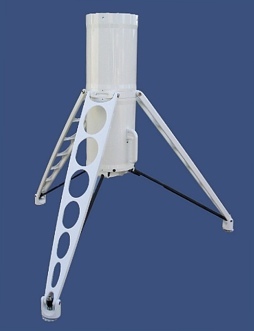 Our requirements went beyond those of our typical amateur consumer and were not constrained by budget; we were pushing the envelope balancing rigidity with light weight while also factoring in resistance to high wind loading and endurance to environmental extremes from seashore to desert environments. With some cooperation PWTEC was able to start with one of their products and gradually evolve it to meet our requirements. 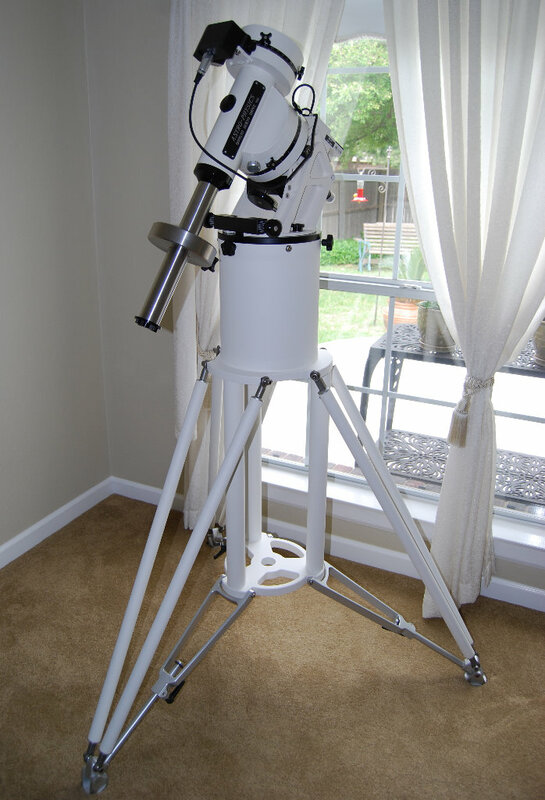 We were so impressed with the desire of the founder of PWTEC to work with us to make a successful product that we decided to offer some of his consumer oriented product for sale to our amateur astronomy clients. And so today we consider these to be the most sophisticated and elegant products of their class, well at home with our premium Fork and German Equatorial Mounts mounts by Astro-Physics, Losmandy, Optical Guidance System (OGS), as well as for those who demand better for their Celestron and Meade Instruments telescopes. To learn more about how these products are developed and precisely manufactured read our illustrated page describing the Monolith Tripod from concept to reality. 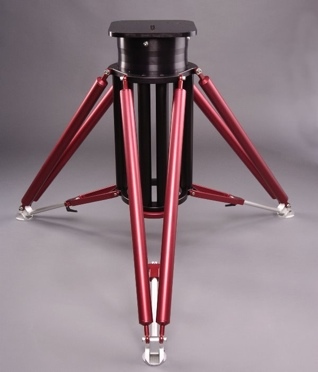 These tripods can be employed to support German Equatorial Mounts (above right), Fork Alt-Az mounts, or Fork Equatorial mounts (right below). 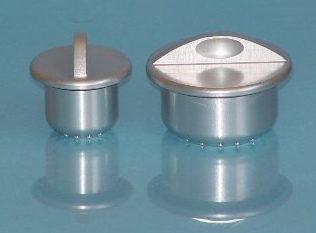 Standard heights are 24, 27, 33, 36, 39, 42, or 48 inch. Other heights available on request.